Giuseppe Zanotti says his designs mix innocence and rock 'n' roll with futuristic boundary-pushing creativity - these 'Guns' boots cover all of the above. 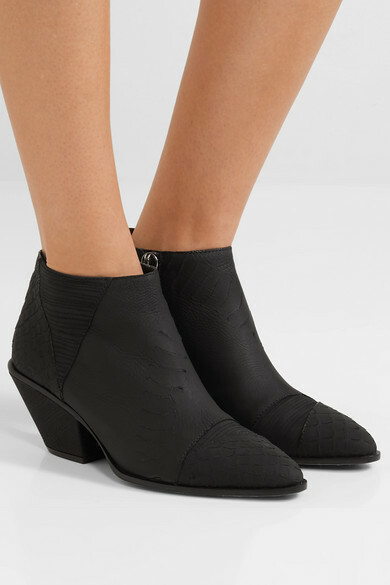 They've been made in Italy from mismatched panels of matte croc-effect leather and have a side zipper so they're easy to slip on and off. 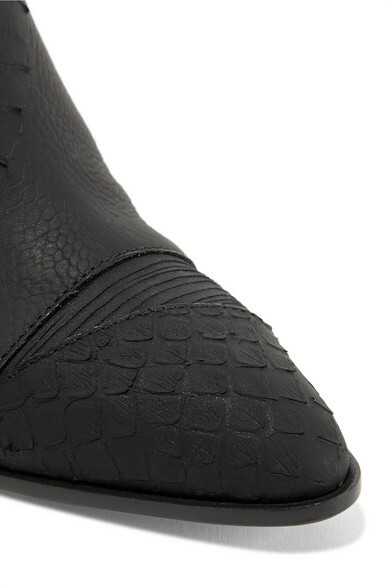 Highlight the eye-catching 3D crocodile that wraps around the Cuban heel with cropped hemlines. 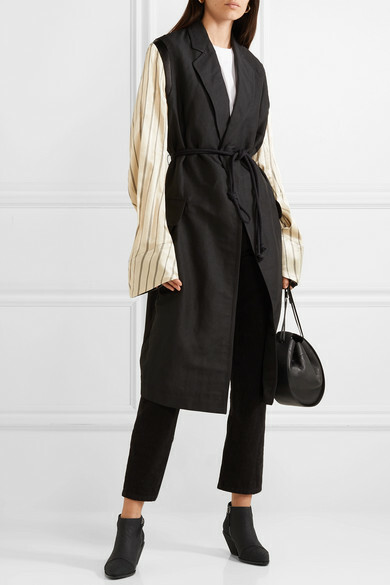 Shown here with: Eckhaus Latta Jeans, Isabel Marant Blazer, Gu_de Shoulder bag.